If visiting the City of Angles isn’t on your bucket list we suggest you add it now. 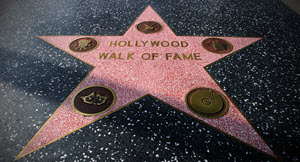 From the Hollywood walk of fame, perfect for the star struck, to shopping on Rodeo Drive and Sunset Boulevard, ideal for those who want a taste of the five-star side of Los Angeles, L.A. has something for all. Soak up the California sun at Venice Beach, ride coasters at the Santa Monica Pier, or climb Runyon Canyon for incredible views high above the city. There’s plenty of things to do in L.A., and with our money-saving California vacation packages, Vacations by Marriott is here to take you on the vacation of a lifetime. Enjoy upscale shopping in the L.A. neighborhood of Beverly Hills on Rodeo Drive. 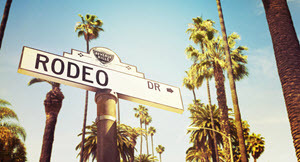 Designer-label stores and small boutiques dot the streets while palm trees sway high above. Be on the lookout for celebrities, many have been known to shop in this area of L.A. Sunset Boulevard, nicknamed The Sunset Strip, offers world-class shopping, dining, nightclubs and spas. Visitors can also enjoy legendary music venues like The Roxy Theatre and House of Blues. Located just west of downtown L.A., Santa Monica is home to an abundance of restaurants, nightclubs and of course, the legendary Santa Monica Pier. 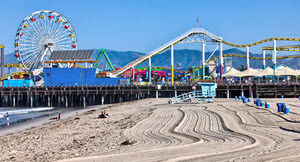 Santa Monica Pier was founded in 1909 and today, offers a variety of attractions that make a day trip to beach perfect, including Pacific Park, where the infamous Ferris wheel and roller coaster lie, the Santa Monica Pier Aquarium and the historic carousel that spins around and offers incredible 360-degree views of the Pacific. 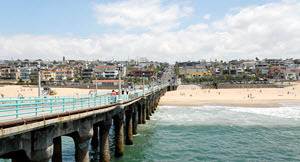 While you’re vacationing in Los Angeles, it would be silly to miss out on some of the most iconic beaches in the world. Our suggestion for a fun-filled day would be a trip to Venice Beach and its infamous boardwalk. It was originally developed in the early 20th-century to model the city in Italy, but has since become mostly quirky and upscale California, with swimsuit-clad beach goers, pizzerias and an overall fun atmosphere. From 1923-1949, the iconic Hollywood sign actually said “Hollywoodland”. If Los Angeles was a state, its population size would make it the fifth largest state in the country. Los Angeles remains one of the most diverse cities in the U.S. with the city being home to people from more than 140 different countries speaking 224 languages. Los Angeles, or most commonly referred to as LA, originally had a much longer name, with the initial name of the city being El Pueblo de Nuestra Señora la Reina de los Ángeles sobre El Río Porciúncula. Los Angeles is blessed with some of the world’s most consistently pleasant weather. Most days of the year the temperature will rise above 70 degrees Fahrenheit, but uncomfortably hot days are rare. And the sea breeze that picks up in the early afternoon tends to keep things feeling fresh. Evenings tend to be equally enjoyable, with all but about ten nights a year hitting low temperatures between 40 and 70 degrees Fahrenheit. So there’s never really a bad time to visit, and measureable rainfall is generally not a concern from the beginning of May through the end of September.